We started our cross Canada tour here on our first night. This was probably a mistake as it set the bar way too high for the rest of the trip.THIS WAS THE BEST CAMPSITE WE STAYED AT. The sites are well laid out very level with power water pedestal's at the back and sewer about half way down the site, it worked very well. Good Wi-Fi , water pressure, and the whole complex is immaculate. maybe the Host's who were very friendly could give tours and training to some of the other places as to how it should be done. This place will be even better in about ten years when all the tree's they planted are mature. Stayed at Campland twice in August for a total of 5 days. Wonderful pull through sites. Full service campground with a few extras. 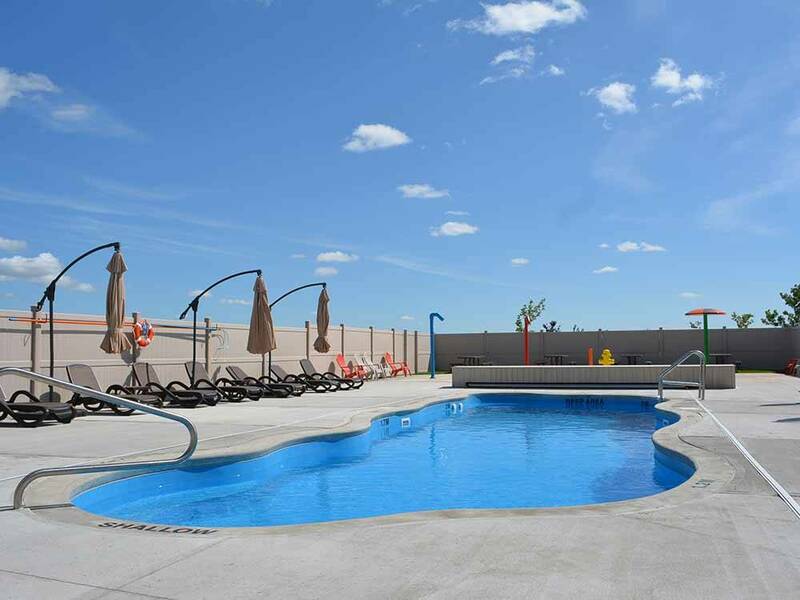 Lovely pool, the washrooms and shower facilities were always in immaculate condition. The staff are super friendly and helpful. We will definitely stay here again when in the area. 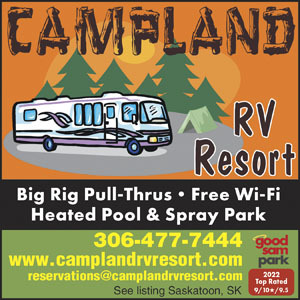 Best place to stay when in the Saskatoon area.